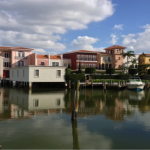 Variety truly is the spice of life, and can be applied to almost every aspect of life in Naples, especially to the types of real estate in the gorgeous neighborhood of Park Shore…high rises, condos, villas and luxury homes. The Park Shore community is not only diverse, but eclectic…a distinctive neighborhood offering upscale housing, five-star resort accommodations, excellent schools, hospitals and medical facilities; embraced between beach and bay access in beautiful Naples, Florida. Enjoy well-maintained white, sandy beaches, fine dining, cultural, arts and music events at the home of the Naples Philharmonic and The Baker Museum – Artis Naples and shopping at the Venetian Village and Waterside Shops. 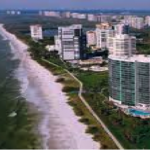 With just a short drive to downtown Naples, the Park Shore community ranks as one of the most prestigious neighborhoods in the world and continues to make an eloquent statement of well-designed luxury homes/condos, located between US 41 and the Gulf of Mexico. The combination of elaborate tropical landscaping and views of the beach and bay make Park Shore a lush trend-setting area with all walks of life…retirees, couples, singles and families. 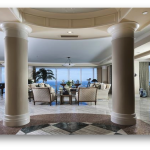 Let’s take a closer look at Park Shore condo real estate in Naples. Most of these refined condominium residences are located along the tranquil bayside of the Park Shore community, offering stunning views of Venetian Bay with private boat docks and direct access to the Gulf of Mexico via Doctors Pass. Yet, like a gourmet meal that is seasoned with a variety of spices, each of these Park Shore condos for sale, have a flavor with a special appeal to that exceptional individual with similar eclectic taste. Colonnade Condos at Park Shore is a unique town home residential community, located on Colonnade Circle and situated on a private lake with magnificent views of the water and the surrounding tropical landscaping. Amenities include a community clubhouse with a lovely resort style pool, spa, a bar area, powder room, modern fitness center and even a library. Additionally, the residents have special access to the private Park Shore Beach. Colony Gardens at Park Shore is another one-of-a-kind residential complex, and was built in 1970 by the Lutgert Companies. A pet friendly complex, located within steps to The Village at Venetian Bay and the private Park Shore Beach Park, this community has 29 distinguished residential condos, a 5 floor building with 21 grand residences and 8 magnificent town homes. Amenities include a bayside pool, covered garage parking and private boat slips. Park Shore Landings at Park Shore is a magnificent condo community with a variety of lush topical landscaping. The community is located on Venetian Bay and has 4 buildings with 18 residences in each…a total of 72 beautiful condo homes. Amenities include access to the private Park Shore Beach, covered garage parking, extra storage space, a private beach pavilion, community party room and clubhouse, a BBQ picnic area and a fabulous bayside pool and spa. Pelican Point at Park Shore is a pet friendly beautiful mid-rise condo building that has docks available for lease on site. Other amenities include a beautiful outdoor pool and easy beach access by way of the private Park Shore Residents Beach. Pelican Pointe West at Park Shore was built in 1978 and has views overlooking Venetian Bay and the Gulf of Mexico. The condo community has 8 floors, with only 3 condo residences on each level… a total of 24 lovely homes. The Village at Venetian Bay is within walking distance, offering exquisite shopping and dining. Amenities include a community party room, individual storage units, a bayside pool and covered garage parking. Piedmont Club at Park Shore is a well maintained stunning condo community and was built in 1973 by the Ira H. Hardin Company with 19 fabulous residences overlooking Venetian Bay. Amenities include a bayside pool, covered garage parking, individual storage units and a guest suite. Swan lake Club at Park Shore was built in 1975 and is located on Crayton Road. The community consists of 40 2 BR/2BA condominiums, and is situated on beautiful Swan Lake with a short walk to the Village at Venetian Bay and residents have private access to Park Shore Beach. Amenities include a lakeside pool and BBQ picnic area. Venetian Bay View Condos at Park Shore is located at the intersection of Park Shore Drive and Crayton Road, just a short walk to the Village at Venetian Bay with access to the private Park Shore Beach. Several of the condo buildings have views of Swan Lake and consist of 4 floors with a total of 64 units in this serene residential community. Amenities include a lovely lake side pool and tennis court. 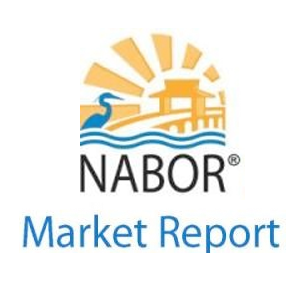 Enjoy, sample and taste the variety and spice that the magnificent Park Shore condos for sale have to offer in Naples, Florida. Please contact Corey Cabral at Naples Luxury Realty Group to schedule a viewing or to answer any questions and concerns…239-963-6590 or ccsellsnaples@gmail.com. Providing outstanding service above and beyond expectation, Corey will employ discretion and confidentiality to customize your real estate experience to perfection.